Compare prices from several car hire companies in Cartagena and find the best price for car rental. Our prices always include unlimited mileage and insurance. 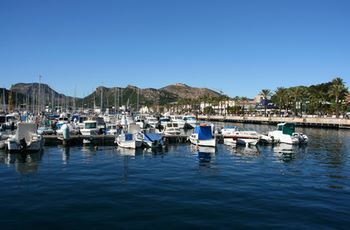 Cartagena is located in southern Spain and is part of the Murcia region bordering the Mediterranean Sea. Cartagena is the most important naval base in the country and has a busy port. The city was founded around the year 225 BC Kr. and has a population of approx. 210,000 (2008). There are many historical relics in and around Cartagena. Many originate from Roman times, including a Roman theater, a loggia and a floor of a Roman house. In connection with findings from the area where the Roman theater is located, you can visit the Municipal Archaeological Museum. There is also a maritime museum and the Civil War Shelter Museum which is dedicated to the Spanish Civil War. Murcia – San Javier Airport is an international airport located nearly 30 km north of Cartagena.